Are your dog's nails a little *ruff* around the edges? There's a solution! They can get so long, you feel like you might need to make them wear shoes to keep from scratching up your nice floor. Enter the Dremel 7300 pet nail grooming tool ($30) — or more simply — the perfect solution to all your dog nail woes. Dog days are over, baby! 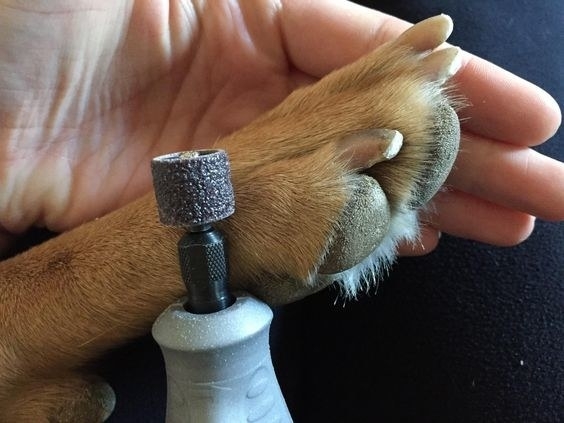 The Dremel 7300 is a rotary tool that files your dog's nails rather than clipping them and risking hitting the quick. It's a safe alternative that both doggies and owners find less stressful. The tool is operated by a rechargeable 4.8-volt battery, *but* the charger is sold separately. You can get one for $12.99. 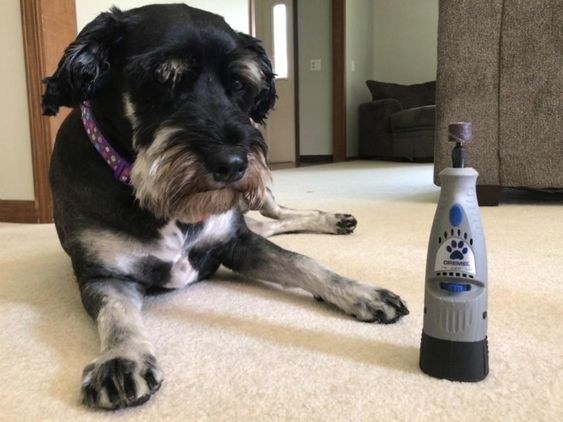 People love what this tool does for their pup's health and their own peace of mind sooo much that out of over 4,000 people who reviewed it, 81% were four or five stars! These before-and-afters are a ~doggone~ miracle. Dixie, pictured below, is a flawless icon slaying the game with perfectly groomed paws. 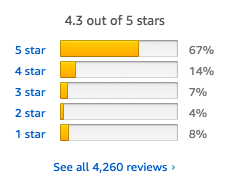 Promising review: "I've had my dog Dixie since she was 5 (she is now 11). Ever since I adopted her the poor thing has had, what I like to call, her dragon claws. I have attempted for the past six years to get her nails trimmed and keep them short. Needless to say, my dog's anxiety about nail trimming has been a constant road block for not only me (with at home trimming) but also over half a dozen groomers and even my vet. At one point my vet prescribed medication to sedate Dixie before nail trimmings; it didn't work. Just before Christmas I happened to be surfing the pet supply section of Amazon when I came across this magical device. I will say that the first time it was a bit of a fight to get the job done. But with lots of persistence (and loads of treats) we were able to manicure her crazy paws. 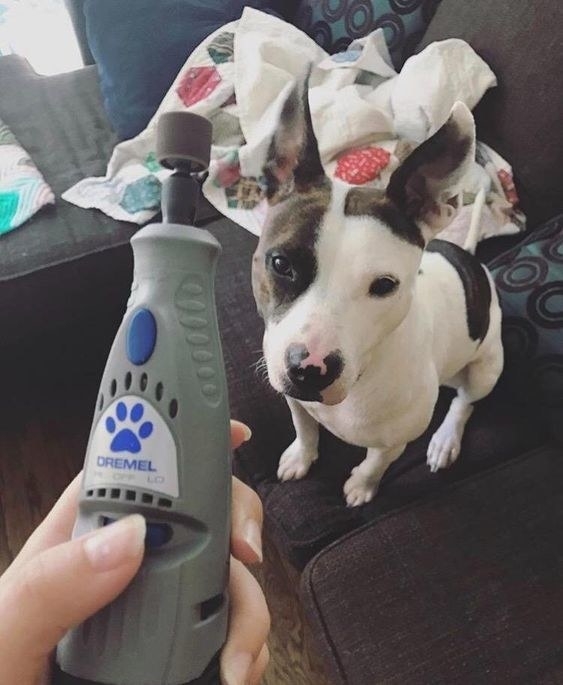 Owners find that their beloved pets are much calmer around the Dremel than they are during a traditional clipping, especially when treats are involved! It also leaves a smooth finish, as opposed to the splintering that can come with normal clippers — which simply will not do! Gaze upon this calm legend, handling trim time like the champion she is, and looking fly to boot! Treat your dog AND yourself to the stress-free Dremel way. And don't forget to show of those lil' paws to anyone and everyone you pass on walks!